Since there are not many sports that reward kids who are weak, slow and inattentive, I learned at an early age that my athletic aspirations had no future. That’s fine; it hurt but I accepted that and moved on to more rewarding activities. It is probably just as well that as a school boy I did not have access to the innumerable failure- embracing books and magazine articles floating about today with titles like “What If The Secret To Success Is Failure?”, “Why Failure Is Good For Success”, “Celebrating Failure”, “Failing Forward” and so on. I am not sure what misapprehensions I might have drawn. Individually, most of these articles are well-intentioned and helpful, suggesting that failure builds character and insight. Specifically in the entrepreneurial context failure is heralded as an inevitable marker of risk takers, which it certainly is. Of course, if that is the case then what we are really celebrating is risk-taking, not failure. Who wouldn’t prefer an employee who never failed as long as they continued to take risks? By comparison someone who always fails and still takes risks is commonly called foolhardy and shown the door. But when taken all together, what is a little dangerous in this enthusiasm for screwing up is that these popular articles may cause us to misunderstand the distinction between failure’s helpful lessons and failure itself. In so doing we risk undermining the very consequences of underperformance so necessary for us to learn from it. The common complaint one hears from line managers in large organizations is that there is “no accountability” which is code for no one senior in the company routinely suffers adverse circumstances from lack of execution or poor decision-making. Like the no-score movement in youth sports, no one “loses”. An institutional indifference to personal execution is bad enough, but now add to it a misguided admiration for failure and we begin to create a perverse incentive. A “perverse incentive” is an instance where you are actually rewarded for doing poorly. There are occasions where this serves a purpose. For example the NFL draft process is a perverse incentive. The teams with the worst records are rewarded with the opportunity to draft the best new players. It makes sense because the league requires long term competitive parity in order to remain attractive to its customers. But for most of us perverse incentives are just that, perverse, and we have to remind ourselves of that as we begin extolling grand failures. Failing is simply not good, but if you do fail, then learn its lessons well. But the truly important lessons from failing require the experience of its negative consequences. The good part of failure is surviving it. Rob failure of its consequences, its sting, and you rob it of its ability to teach. If we discount the consequences of failure, we remove the necessity of wisdom in making good decisions. 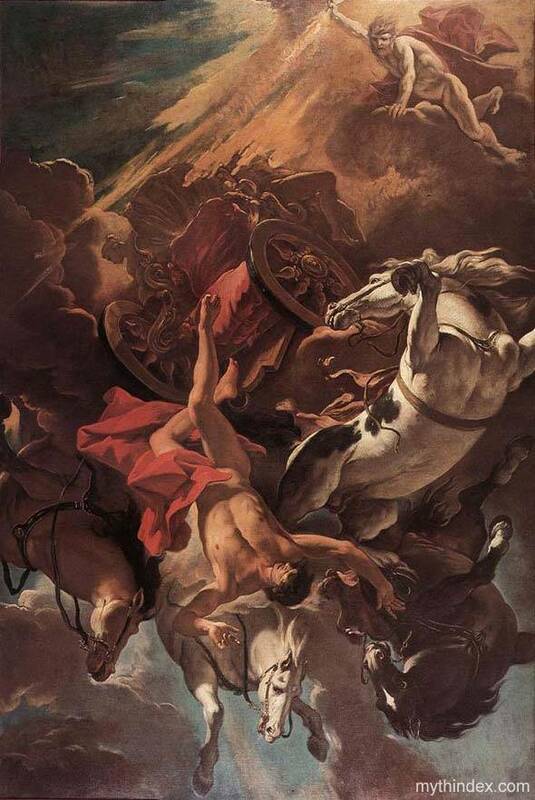 The Greek mythic character, Phaethon, boldly took the reins of the sun-chariot and drove it across the sky. But when he lost control Zeus obliterated him rather than allow the earth to be burned up by the unrestrained chariot of fire. Take away Zeus’ thunderbolt and we draw a distorted lesson from the story of Phaethon. But when we talk of failure imprecisely we often diminish the thunderbolt. I suspect that we do so simply because, as experienced managers, colleagues, parents, friends, we recognize around us the oft-divorced connection between work and consequences. How often have we seen excellent efforts come to naught due to uncontrollable quirks of life or outside circumstances. How can we not recognize and applaud the struggle even if the outcome disappoints? So we diminish the taint of failure to accommodate the vagaries of modern cause and effect. Can I suggest another solution? Several years ago I was at a company event when I saw one particular manager who had spent months engaged in a complex and difficult pursuit with one of the world’s largest petroleum companies. We were supposed to hear the coming week whether our company was the successful bidder for this large book of new business. I nodded and greeted him as I walked past but then, I turned back and walked up to him. Rather than awkwardly accommodating unsuccessful results after the fact, congratulate your colleague on his noteworthy effort before the outcome is known. That way you avoid gratuitous consolation, you recognize the chasm between cause and effect, but you do not diminish the obvious and important consequences of failure. Rather you genuinely align yourself with your colleague and with those consequences, be what they may. Application 1: Search for someone you know…an employee doing great work on a difficult project, a child finishing a hard school assignment or a friend or family member preparing for a physical or mental challenge. If their performance is outstanding, let them know before the outcome is clear, that you admire and appreciate the quality of their effort. Then allow the consequences themselves to teach the hard or easy lessons. This is King Richard II’s sorrowful exclamation as he faces usurpation and death. After a major putz-up, remembering it has helped me to place my own situation squarely in the great historical continuum of failures. Or, shock your colleagues and recite it aloud in your best Derek Jacobi voice to begin the meeting in which you have to explain a major screw-up. I haven’t tried that yet! Good point, Norman. I toyed with making that the last sentence in the blog but then thought not since the whole idea was that you should evaluate the effort before knowing the outcome. But you’re right. Steve nailed that deal (and so many others)!